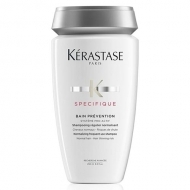 Protects against external aggressions by stimulating the health of the scalp. DESCRIPTION: Cure Apaisante Anti-Inconforts from Kérastase is a treatment for sensitive scalp prone to itching, irritation and inflammation. 4 weeks of treatment, applying 3 times a week. 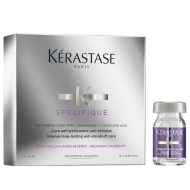 This intensive treatment restores the quality and flexibility of the scalp by reducing all types of scalp discomforts such as itching, irritation or inflammation. Appeases, moisturizes and protects the scalp from oxidative stress. 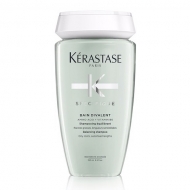 The discomfort is eliminated and the itching disappears, leaving the scalp comfortable and relaxed.